Hostal Andenes i Ollantaytambo, Peru: Reservér nu! Hostel Andenes invites you to enjoy the magic of feeling in family, enjoy your trip in the heart of the culture of the Incas, this hostel run by locals descendants of the Incas invite you to immerse yourself in their culture as locals know better than anyone in Cusco and the Sacred Valley of the Inca and not to mention Ollantaytambo, our goal is that you feel at home and that you can enjoy your stay to the maximum, optimizing the time your trip with first hand information, our hostel Located near everything and with comfortable facilities awaits you. 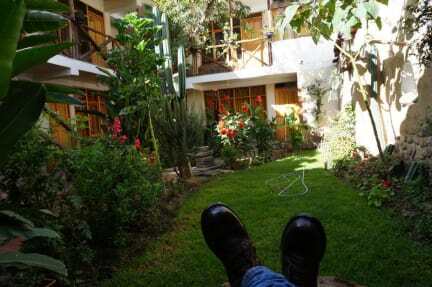 Central Hostel Andenes is located 50 meters away from the main town square, 5 minutes walking slowly to the train station, 300 meters from the archaeological site of Ollantaytambo and the handicrafts market, and only 500 meters from the handcrafted producers' market. 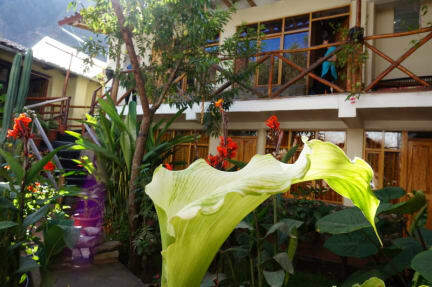 Hostel Andenes offers you during your trip beautiful private rooms and private bathroom, mixed dormitories with shared bathroom, we have hot water 24 hours and wifi in any part of the hostel. In addition, we serve a rich American breakfast that is served every morning.